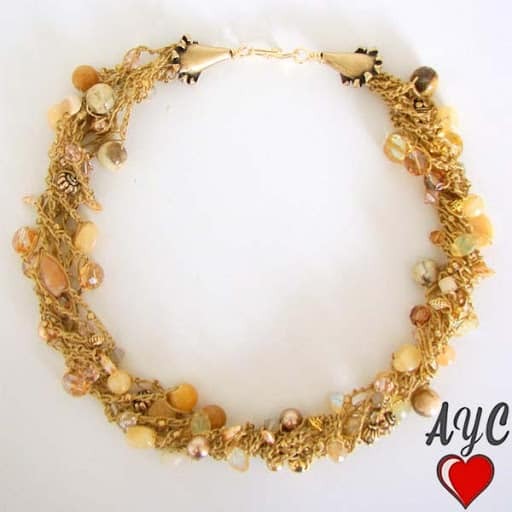 Gold hand cord and bead crocheted necklace adorned with shades of yellow and gold beads and crystal. A dramatic yet simple piece. Approximately 20″ in length with “S” hook closure. May also be warn as a wrap bracelet.